Review 73. Jodi Lynn Anderson–Tiger Lily. Source: Won in a giveaway. Before Peter Pan belonged to Wendy, he belonged to the girl with the crow feather in her hair.. Fifteen-year-old Tiger Lily doesn't believe in love stories or happy endings. Then she meets the alluring teenage Peter Pan in the forbidden woods of Neverland and immediately falls under his spell. Peter is unlike anyone she's ever known. Impetuous and brave, he both scares and enthralls her. As the leader of the Lost Boys, the most fearsome of Neverland's inhabitants, Peter is an unthinkable match for Tiger Lily. Soon, she is risking everything—her family, her future—to be with him. When she is faced with marriage to a terrible man in her own tribe, she must choose between the life she's always known and running away to an uncertain future with Peter. With enemies threatening to tear them apart, the lovers seem doomed. But it's the arrival of Wendy Darling, an English girl who's everything Tiger Lily is not, that leads Tiger Lily to discover that the most dangerous enemies can live inside even the most loyal and loving heart. How can I describe my love for this book in a rational way? It will be hard for me, since I haven’t read a book like this so far. It touched me in a way no other book did this year. How is it possible to tell Tiger Lily’s heart breaking love story in words, when you have to feel it? I’m going to try my best to tell you about this beautifully crafted story. Tiger Lily lives in the tribe ‘Sky eaters.’ She is the adopted daughter of the leader Tik Tok, who found her under the flower she is named after. One day, there is a shipwreck and one boy survives, but his penalty is death. Everybody is afraid to catch “the aging disease.” Tiger Lily is too stubborn and she saves the Englander. This will change her life. This is how she is going to meet the famous Peter Pan; the boy everybody is scared of. That is the best way to describe the love that is blossoming between them. Tiger Lily doesn’t talk a lot and she always hide her feelings. But with Peter, it is different. She smiles more, she tries to come out of her shell; and Peter is a better person around Tiger Lily too. The lost boys accept Tiger Lily like one of them. They always watch out for Captain Hook and his Pirates, but Tiger Lily makes their life better. That is until a new ship arrives to pick up the Englander Tiger Lily saved. She is glad that he is going away, because he takes over the village. When something horrible happens in Tiger Lily’s life, she stays away from Peter for a while and that’s when my heart broke. The Englander girl called Wendy steps into the story and she messes up everything. Peter and the Lost boys are leaving with her and Tiger Lily stays behind. This story is told from Tink’s point of view. She can’t talk, but she is able to read minds and hearts. It was wonderfully picked, because we get to meet Peter and Tiger Lily in a different way. 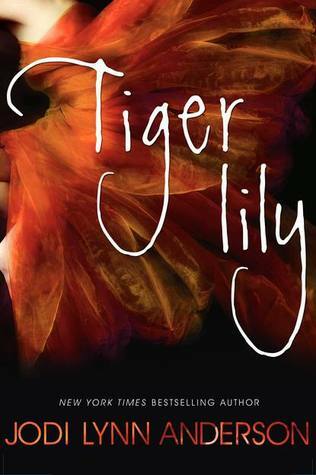 Tiger Lily is fierce, brave, stubborn and restless. Peter is lost and loses his heart quickly, but Tiger Lily always kept a piece of it. I wanted them to be together for ever, even when I knew how the story would end. They were so sweet and they completed each other. They are both damaged and lonely. This story broke my heart, crushed my feelings and made me want to cry. There was nothing I could do when I saw Tiger Lily’s heart being shattered by Wendy’s appearance. To make things even worse, Peter wrote a letter to Tiger Lily and I’ve never read anything so beautiful and pure. It was as if I was Tiger Lily and he wrote me that letter. You know that feeling, when you really life inside the story and almost become one of the characters? I felt all sad inside and you know that you’ve read a magnificent book if the author can give you those feelings. If this story doesn’t touch you, I don’t know what else can. The letter was almost too much too handle for me. I know, I have a weak soul when it comes to these broken love stories. I’m glad that this story doesn’t end too unhappy. They both find their way to continue their lives. Tiger Lily is too strong to give up and she is happy, but in another way. This story tears my emotions apart and I will read it again for sure. I can’t look at Peter Pan the same way after reading this book. The other characters in this book are great as well. We get to know them; they play a role and aren’t there to fill up some space. I especially loved Tik Tok, a man with a very present female side. He is a sweetheart. The world-building is good, the writing style is easy and almost poetic. The words flow. Please, do yourself a favor and get a copy from this book. I won this ARC last month and really want to read it. Peter Pan is not really my favorite story, but all the reviews of this book make it sound really interesting! I want to read this book so badly! So glad that you enjoyed it. Thanks for sharing your thoughts! Glad you enjoyed it, I somehow haven't heard much about this one. Agh! I want to read this!!! Tiger Lily has always been my favorite Peter Pan character (well... her and Captain Hook... don't ask). I've never really cared for Peter (ugh! ), but I think I would like this book a lot. :) Thanks for reviewing. I'll be sure to get my hands on it soon. I actually really LOVE Peter Pan so I think a re-telling of his story is brilliant. And this one sounds like such am amazing and heart wrenching story. I love tat it's told from Tink's POV. I'll have to pick this one up. Thank you for the awesome review, Mel! ♥ So glad you enjoyed it! Fantastic review! I really, really have to get around to this book - I have only heard great things about it. I'm glad that you enjoyed it so much! Fantastic review, Mel! OMG! I have to admit it... This book never got much of my attention because of the cover. SOmehow I dont like but OMG! NEVER JUDGE A BOOK BY ITS COVER! I should know better!! 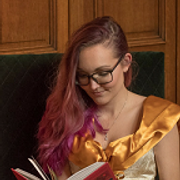 your review is wonderful and I can see and feel how much you love it and this~ "This story broke my heart, crushed my feelings and made me want to cry. There was nothing I could do when I saw Tiger Lily’s heart being shattered by Wendy’s appearance. " TOTALLY MADE IT FOR ME! Im a masochist and I love tragic love stories sniff!!!!!!!! I need to fee my romantic and masochist heart with a grandiose dose of Tiger Lily!! <33333 aaaaaaaah! Marvelous review sweetheart!! <3333333 Im SO gonna add this one to my shelf! muah!! Vivian the Spirit says: Get a copy? Will do. OHMYGOSH, MEL, YOUR REVIEW MADE MY HEART THUMP! >_< I've heard nothing but ridiculously great things about this book and it's awesome that you enjoyed it so much as well! Gaaaaahhhhh neeed tooooo reeeaaad thiiiis TT o TT See the impact of your awesome review? I'm feeling irritated by Wendy already. (to be honest, I never liked her much in the first place.) The emotions sound amazing beyond words...This brilliant review is going on my Favourite-Reviews-by-Mel list!! <333333 Thanks for sharing!!! @Jade, if you love Peter Pan, you will love this one! @Celine, I can't wait to see your review when you get a copy! @Vivian The Spirit, thanks for floating by ;) I hope you are going to love this one too! And ahh, that's so sweet. I was quite happy with my review too! Review 81. Stefan Bachmann – The peculiar. Review 80. Anthology – Two and twenty dark tales. WoW 23. Fox Forever & Between. Top 10 Tuesday (16) Series to finish. Review 79. Lauren Oliver – Delirium. Review 78. Philippa Gregory – The white queen. Review 77. Jackson Pearce – Sweetly. Showcase Sunday 15. Dracula and The passage. Review 76. Lauren Oliver – The spindlers. WoW 22. Iron hearted Violet & Anne Boleyn. Showcase Sunday 14. The lost girl & The peculiar. Showcase Sunday 13. Free books. Review 72. Rachel Hawkins – Spell bound.